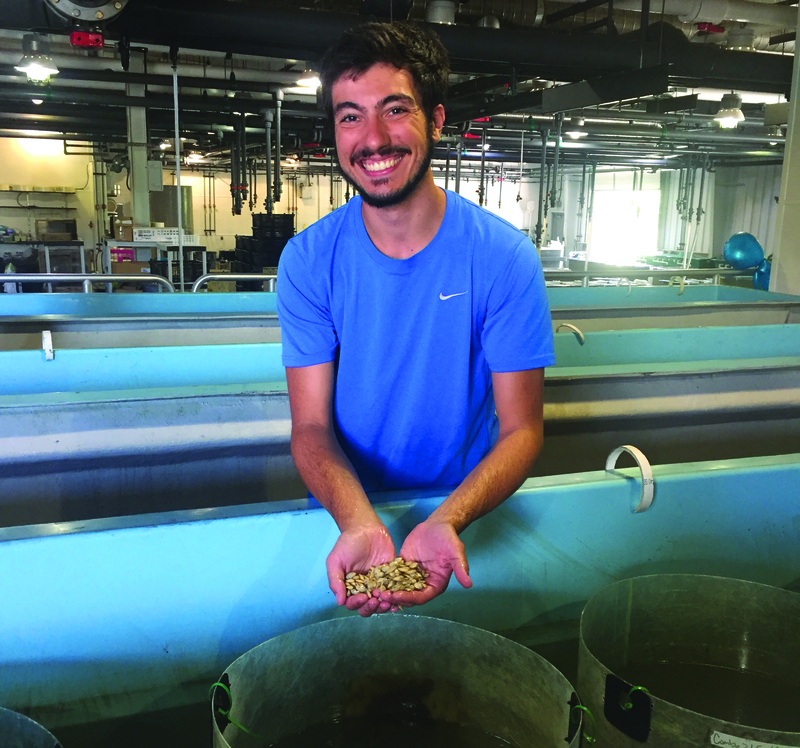 Share the post "Ecology and Evolution Graduate Student Michael Acquafredda Featured on American Fisheries Society Website"
Michael Acquafredda cleans and cares for juvenile surfclams in an upweller silo at Rutgers Aquaculture Innovation Center in Cape May, NJ. 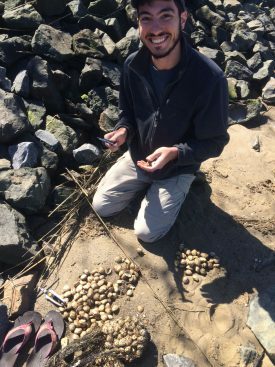 Michael Acquafredda, doctoral candidate in the Graduate Program in Ecology and Evolution in the School of Graduate Studies, has been featured on the website of the Mid-Atlantic Chapter of the American Fisheries Society (AFS), a non-profit organization established since 1870 to advance fisheries science. Its mission is to improve the conservation and sustainability of fishery resources and aquatic ecosystems by advancing fisheries and aquatic science and promoting the development of fisheries professionals. Michael Acquafredda measuring year-and-a-half-old surfclams from a field planting experiment near Cape May, NJ.